Marilyn Sue Richman, 80, of Spring Hill, Kansas passed away Sunday, August 2, 2015 at Black Hawk Assisted Living Facility. She was born January 30, 1935 in Arkansas City, Kansas. She was the daughter of the late Forest Edwin and Dorcus Maxine Koerting. Marilyn was a member of the Kaw Nation of Oklahoma and the granddaughter of Sophia Cornelius Chouteau and Forrest Chouteau, a member of the last full-blood tribal council. Marilyn will be sadly missed and lovingly remembered by her two sons, Robert Kim Richman and his wife Kristi of Olathe, Kansas and Forest Lynn Richman and his wife Deanna of Centralia, Missouri; one daughter, Joni Rae Kenton and her husband Brad of Shawnee, Kansas; eight grandchildren: Michelle LeRette, Brett Richman, Emily Linhardt, Becky Kenton, Susan Fowler, Samantha Romine, Amanda Kenton and Nancy Liston; six great-grandchildren, Lauren White, Dylan White, Jason Linhardt, Elizabeth Linhardt, Josie Fowler and the newest addition to the family, Sophie Fowler, born August 1, 2015; and five nieces and nephews, Vickie Feitl, Mark Allen, Trish Norris, Lori Carcopa and Andy Allen. In addition to her parents, her sister, Evelyn Roberta “Katy” Allen, and an infant brother, Forest, preceded her in death. Marilyn was a member of Grace Episcopal Church in Chanute, Kansas. 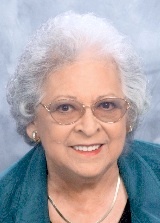 She was a 1953 graduate of Chanute High School where she met many dear friends who she cherished throughout her life. After high school she moved to Wichita, Kansas and worked in the American Legion Claims Office at the Veteran’s Hospital. She was a homemaker and raised her family in Independence, Kansas. After making her home in the Kansas City area, she worked in hospital settings until her retirement. Marilyn and her beloved Basset Hound, Sugar, will be interred at Olathe Memorial Cemetery on Friday, August 7, 2015 at 10:30 a.m., officiated by Pastor Dennis Uecker, Hope Family Fellowship. In lieu of flowers please consider a donation to the Greater Kansas City Humane Society in memory of Marilyn Richman and Sugar.